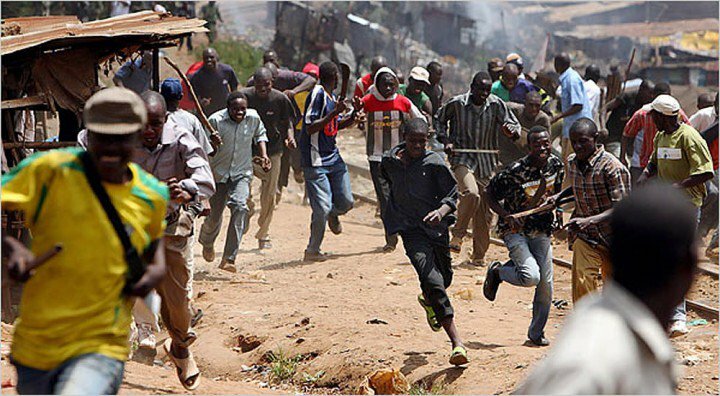 In what looks like a curse for being a Nigerian, a community of people from Nigeria living in South Africa were attacked and their settlements were destroyed but the Nigerian Government that have not been able to control internal crises failed to raise an arm to help Nigerians in South Africa. Mr Cyril James, the Ward Chairman of the Nigerian Union in the area, told the News Agency of Nigeria on the telephone from Johannesburg, South Africa that the attacks began on Jan. 18. James said that the mob alleged that a Nigerian abducted a South African girl and raped her. “The South Africans attacked our homes and shops, destroyed all we have. Many Nigerians suffered severe injuries during the attack. We have left our homes for safety because they (South Africans) are regrouping to attack us again,” he said. James urged the Nigerian mission to urgently intervene before the mob kills a Nigerian. According to him, the safety of Nigerians in Krugersdorp is no more guaranteed because there is no help. 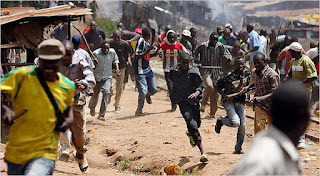 Mr AdetolaOlubajo, President of the union, said that the situation in the area was bad.